Our integrated security systems are capable of a variety of automation tasks as well as protecting the assets of your business space. Our systems can turn on or flash lights in the event of an alarm. Our scheduled lighting scenes prevent costly break-ins. In addition, automatic lighting scenes can be pre-programmed to different levels depending on time of day or various settings for different events. 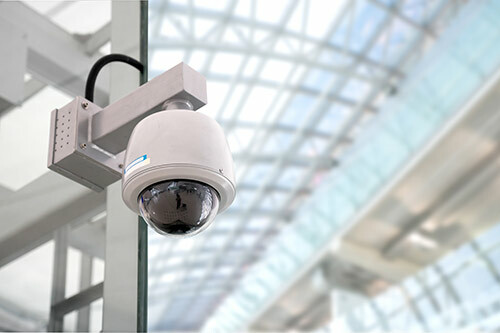 Adding cameras around the perimeter of your firm can further enhance our security systems. We offer an access control system to guard against unauthorized entries into restricted areas while allowing easy access for authorized personnel.. INTERESTED? REACH OUT TODAY TO GET STARTED. Copyright 2019 At Home Integrations All Rights Reserved. Designated trademarks and brands are the property of their respective owners.